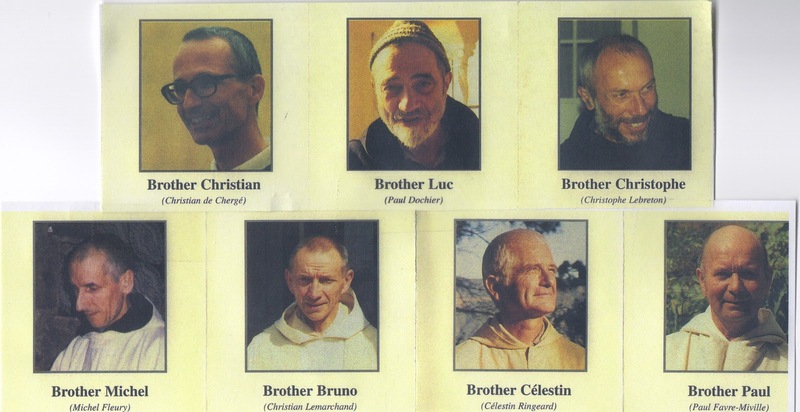 Each year at about this time I have published a list of those who have risked everything to follow Jesus Christ more closely as a priest, deacon, monk, friars, nun, or sister. I think it is a good thing to keep this information in front of us, especially as it concerns how each of prays, fasts and financially support vocations in the Church. Our Christian life helps us to see the need for such witnesses and each of us participates through our good example, by inviting others (even ourselves?) to consider serving the Lord and the Church in this “more excellent” way and by assisting by of the good works. Let us pray with the psalmist, “The just grow tall like palm trees, majestic like the cedars of Lebanon. They flourish in God’s house, green and heavy with fruit” (Ps 92). “What counts is to be permeated by the love of Christ, to let oneself be led by the Holy Spirit and to graft one’s own life onto the tree of life,” the Lord’s cross, Pope Francis said on July 7. What follows is an imperfect collection of information; if there are updates, please zap me an email. Here is a video of the St Meinrad professions for 2013. St Benedict’s Abbey (Atchinson, KS): 2 professed simple vows; 3 entered the novitiate. 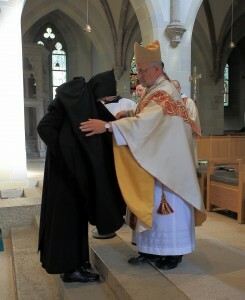 Franciscan Missionaries of the Eternal Word: 2 professed simple vows, 1 entered the novitiate. 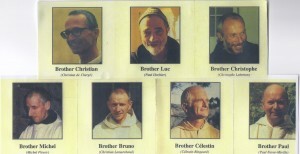 The Society of Jesuit ordained 16 men to the priesthood for service in the whole USA; the NY-NEN-MD provinces professed 5 in simple perpetual vows; 5 men entered the novitiate. This is a matter of faith and the public order. These voices need to be heard and prudent action needs to be taken up. Killing more people to save face is not the Christian way. Typically, you don’t hear from Cistercians in this way. They are now speaking up for justice and peace at a time when another World War is possible. Following the 6th century Rule of Benedict and the Constitutions of the venerable order of Citeaux. 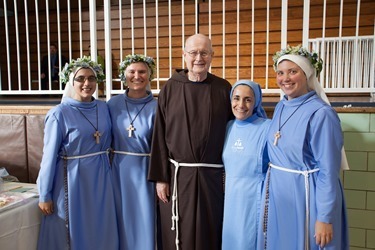 You may say, the small group of nuns of Blessed Mary of Font of Peace have as their key work to pray for peace and to work on their conversion. The monastery is located in Syria, on the boarder with Lebanon in a village of Maronite Catholic. 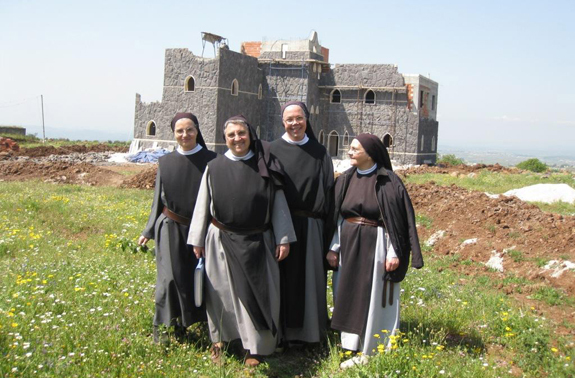 Historians will note that the intuition of the Cistercian nuns coheres well with the context in which they find themselves: at the crossroads with East and West, where Christianity began, and where culture flourished. From where the nuns are located, you can see the Good News sent abroad to Asia Minor, Greece, France, Rome, Armenia, India, China. The nuns, too, rely on the intercession of saints like Afraate, Ephraim, Cyrus, Simeon the Protostilite, Maron, John Maron, Isaac of Niniveh, John Chrysostom, John of Damascus, Rafka, and countless others who followed Jesus Christ. Our Lady of Peace, and all Syrian and Cistercian saints, pray for us. 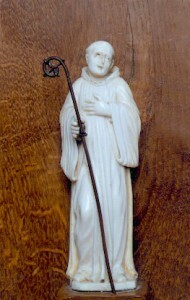 Saint Bernard was the brother of Saint Humbeline. At 22, he and four of his blood brothers with 25 friends, entered the new form of monastic life at Citeaux; at some point later, another brother and his father joined him. The monks at the Abbey of Citeaux were reformed Benedictines. In a short time Bernard became the abbot of Clairvaux with a constituency of nearly 700. One of his spiritual sons became Blessed Eugene III, pope. Bernard (+1153), Cistercian abbot, saint, and Doctor of the Church, is no easy thinker to face alone. You really do need God’s grace to help you get through his works. Challenging is a good word when thinking of Saint Bernard. History credits Bernard with the foundation of no fewer than 163 monasteries in his lifetime. When Bernard died, historians labeled the Cistercians as the first true Order in the Church with nearly 343 communities. He singularly did more than any other for the Cistercian order than any. As one Benedictine nun said of Saint Bernard, he was angry a lot of the time, a brilliant writer even when he nothing to say, at odds with Abelard, condemned for preaching the Second Crusade, and kind to Jews at a time when no one was kind to Jews (we know of a German rabbi saying his community received help and protection from the holy abbot). One of the theological positions Bernard held was not holding to the doctrine of the Immaculate Conception of Mary. This doesn’t make Bernard a questionable man of the Church because the doctrine of the Immaculate Conception was not defined until the 19th century. And yet, he sang eloquently of the Virgin Mary. I am reminded by my own heart that the the early morning is a particularly good time of the day to be clothed in a special silence, but there are time at dusk that the discipline of silence is helpful. This is an essential part of spiritual maturity, an adult faith in Divine Providence. Listening and speaking to the Trinity is done when the heart and mind are slowed, even word-less. Knowing and following God’s will is only possible if we give a certain amount of day to quiet, that is, silence. Not a punishing silence, not a hopeless silence, but a manner of being that helps us to see ourselves in action: the manifestation of the virtues of faith, hope, charity, justice, peace, perseverance, etc. Silence, therefore, is a gift that allows us to enter more deeply into the revealed Word of God, the biblical narrative through the practice of lectio divina, the practice of prayerfully reading the sacred Scripture. It is, I am convinced, the new springtime of the Church as Benedict XVI said, proposing once again the ancient Christian practice. Most often we when we hear the words lectio divina we think of monastic reading where the person is immersed in God’s holy word with the distinct desire to seek the face of God, thus making a home for that Word in his heart. The famous Cistercian father Blessed Guerric of Igny (c. 1070/80-1157) was influenced by Origen and whose formation was under Saint Bernard was quite insightful on many things when it came to liturgical theology and the monasteric life. If you are inclined to read more about what this Cistercian father taught, you may want to pick up a copy of John Morson’s Christ the Way: the Christology of Guerric of Igny (Liturgical Press). But his liturgical sermons are worth every effort; they are published by Liturgical Press, too.